The following guidelines were obtained from the website of the Infragard EMP Resource Center. 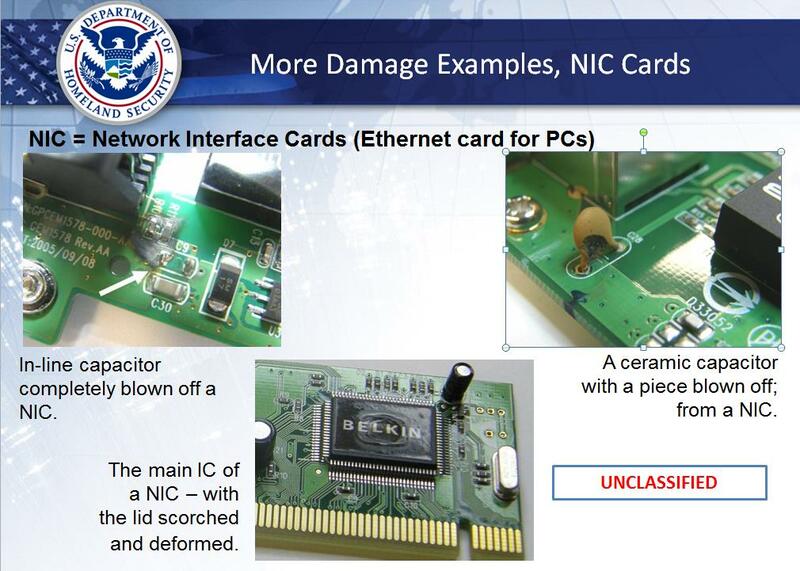 (4) Intentional Electromagnetic Interference (IEMI) from nearby sources such as Electromagnetic (EM) weapons (also known as Radio Frequency (RF) weapons). 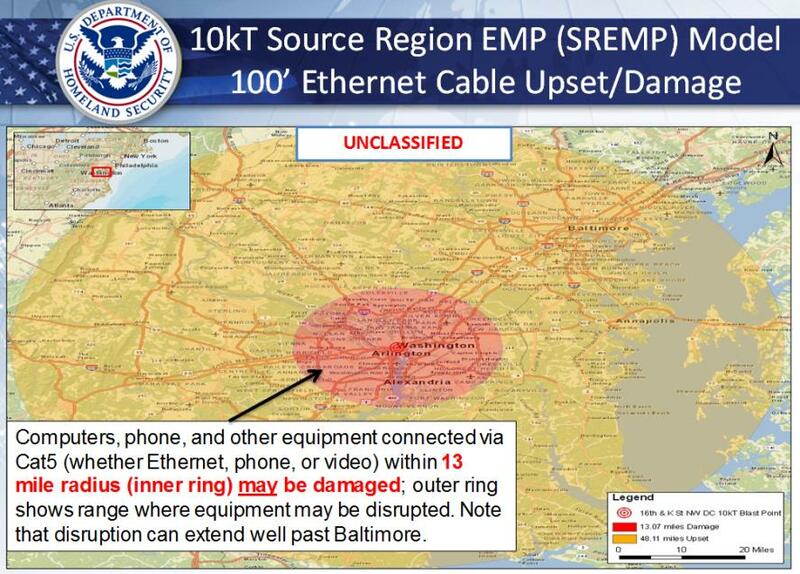 Collectively, these will be called by a general term in this document: “EMP”. 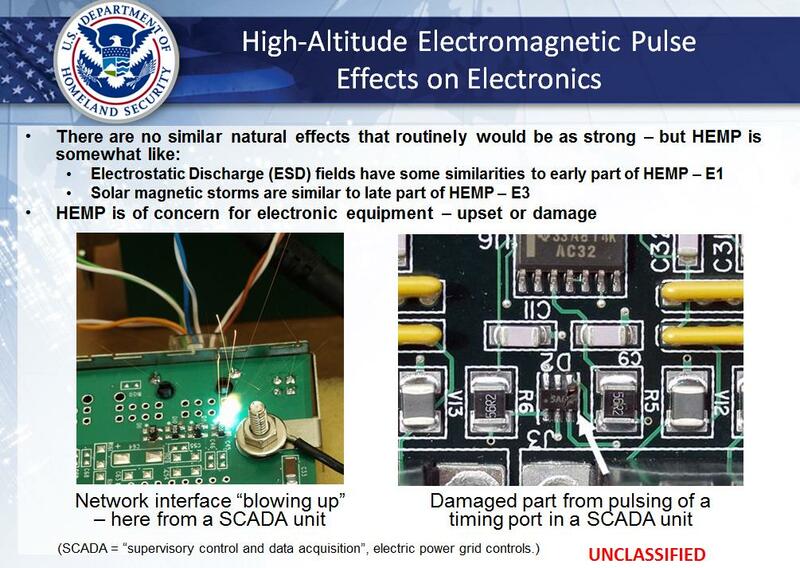 However, it should be recognized that nearly all of the protection recommended in this document is for the frequency range above 10 kHz, which is the frequency range for E1 HEMP, SREMP and IEMI. 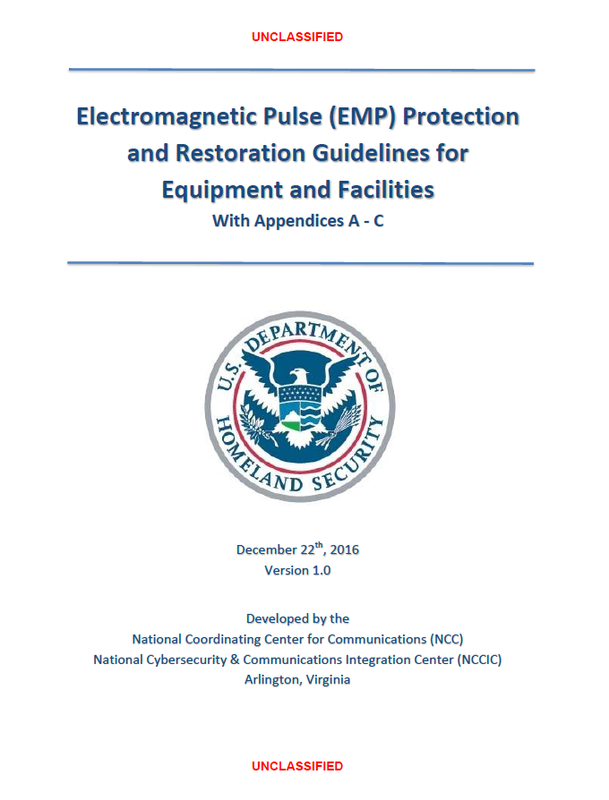 A presentation describing the background, characteristics and effects of EMP is included in the Appendices to this document. 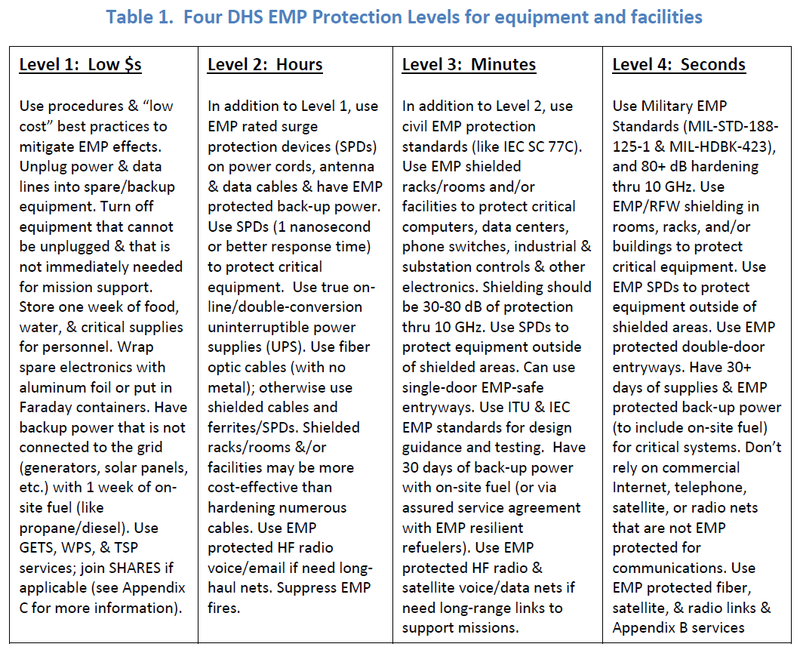 There are four DHS EMP Protection Levels defined herein, as outlined in Table 1. 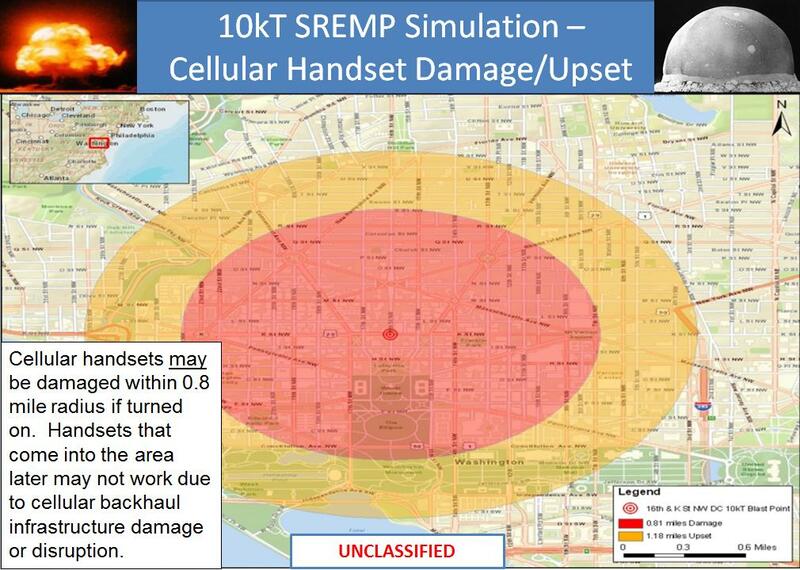 These levels were initially developed for use by the federal continuity community, such as for the Continuity Communications Managers Group, but are also applicable to any organization that desires to protect its equipment, facilities, and services against EMP threats. In addition to making recommendations on how to physically protect electronic equipment from EMP, this guide provides guidance on how to help ensure communications and information systems (and their supported missions) can continue to function (or be rapidly restored) after one or more EMP events. Hence, Appendix C contains information on priority service programs (like GETS, WPS, and TSP) as well as on the SHARES alternate communications service that can be used to support critical missions and to facilitate and coordinate restoration activities.